CheeseCrafter® Total Production and Quality Management Software Now with Inventory Control &amp; Remote Interactive Data Entry (Tablet) | Page & Pedersen International ltd.
CheeseCrafter® Total Production and Quality Management Software for Cheese, Yogurt and Butter Manufacturers. 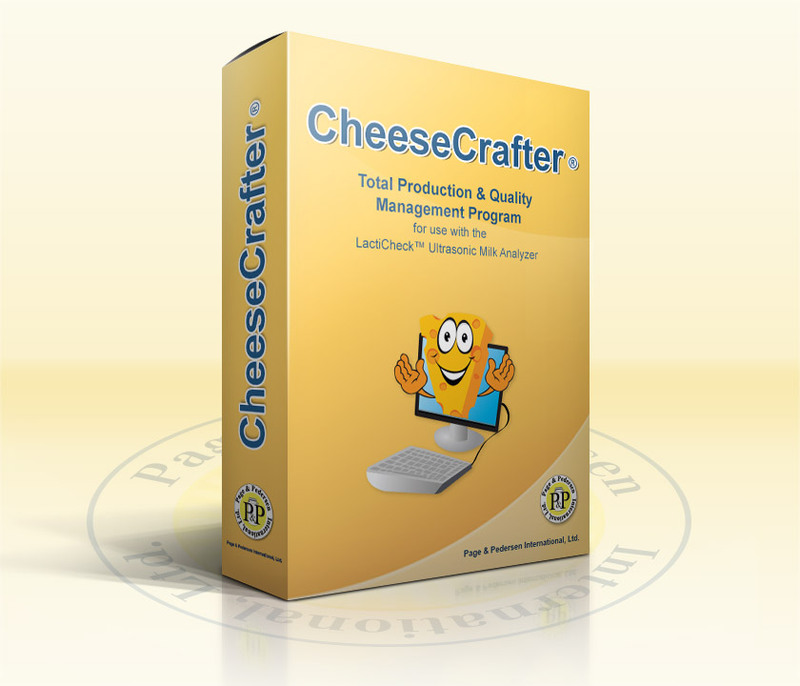 The CheeseCrafter® Total Production & Quality Management (TPQM) Software System provides cheese makers or managers of cheese manufacturing plants with a comprehensive system for getting control of the documents for their process and optimizing quality plus profitability. Data Entry is now possible via Interactive Data Entry both locally via the main PC or remotely via a Tablet which can be brought into the production floor. It is now also possible to do data entry on multiple vats simultaneously! The remote Interactive Data Entry is using a Tablet , which can be brought on to the production floor. The the program is open and a Make-Sheet is secected it will show all its Production Steps, automatically down count of time to next, have full data entry of all Quality Control Points, and time change is possibly on the fly if the setting of the cheese is not as expected. Total Modeling Tool (see WonderWizard) to facilitate development of formulations and target minimum parameters for payment, etc. Automated Search capability for Batch Search. Will find all ingredients used in a batch and then by using these data, finding all other batches where same ingredients with same lot number has been used – including inventory balance! Benefits include tools for production management, standardization, quality control, digitized documentation, ingredient traceability, financial documentation, quality assurance and research/development of new products. The CheeseCrafter is designed to work with all LactiCheck models as well as the LactiWhey, as the main milk data provider, but can also be delivered with Manual data entry capability. The CheeseCrafter can work in both the full version and as the Cheese Maker’s Work Station at a remote location. The later just requires access to the full version’s data base via local LAN.